Bossier Parish Police Jury highway department crews are in full swing addressing the 2017 maintenance and repair program on roads and drainage throughout the parish. 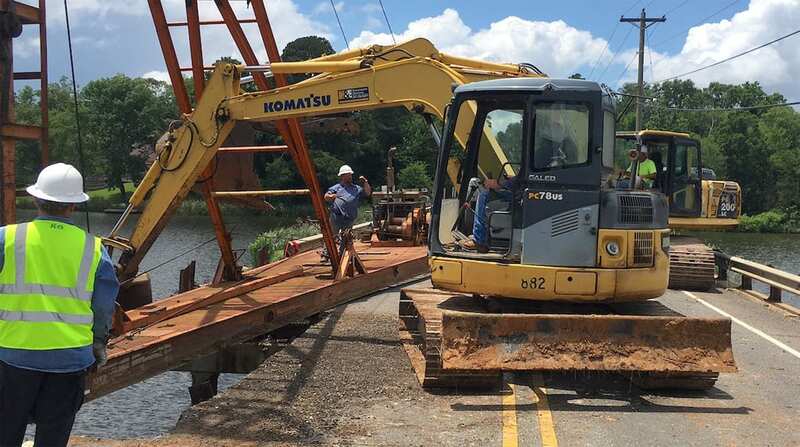 In his report Wednesday to the police jury, parish Director of Public Works Mark Coutee said over the past two weeks his department had performed drainage work on nine parish roads and had completed overlay projects on three others. Crews are currently working on a fourth overlay at Fairview Point Rd. and have patched areas of White Oak Dr.
Drainage projects included Parish St., Cross Creek, Rolling Meadows, Silver Wood Trail, Ellis Court, Ryan Rd., Horseshoe Bend, Hal Sutton Dr. and Winnfield Rd. Roads receiving a fresh overlay were Tech Dr., Dalton Lane and Bienville Dr. In addition to the various projects featuring roads and drainage, the parish is also bush hogging along parish rights-of-way and continuing the mosquito spraying program, Coutee told jury members.